Double-Anode Rectifier with Oxide Indirect Heating Cathode. 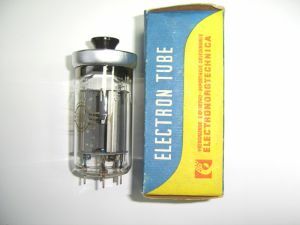 Glass Bulb, Such as a GU-50. Double Anode Rectifier with Oxide Indirect Heating Cathode. The Glass Bulb is With Pear Form or With Cylinder Form.